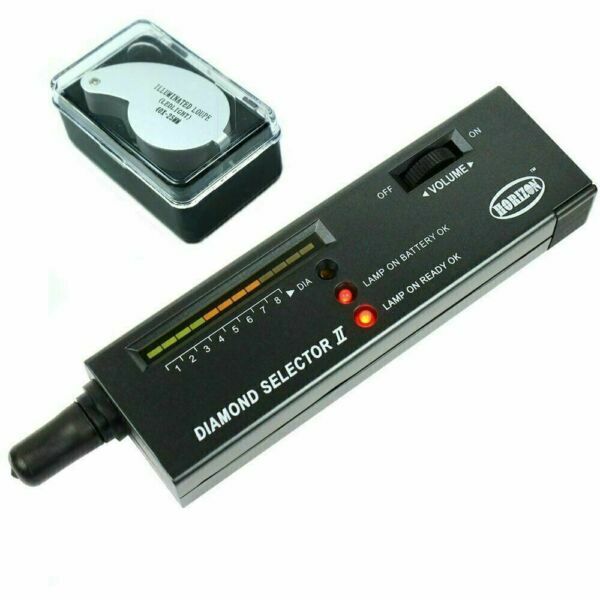 This diamond tester is a portable electronic device for distinguishing real diamonds from other simulated stones. It is designed for quick, precise, and safe diamond testing. This mini jeweler&apos;s loupe has built-in LED illumination. This portable and versatile loupe can be used for jewelry, gemstone, document, and currency authentication. We have been manufacturing and distributing precision scales and calibration weights since 2009. We professionally calibrate and test all scales that we ship. Please pay as soon as possible after winning an auction, allowing us to ship your order to you sooner! Your order will be shipped generally within one working day including saturdays. We will try to process your order in the same day if payment is received before noon (US Eastern Time). If you are not 100% satisfied with your order, you can return the product and get a full refund or replacement (your choice). The return process is eBay managed and hassle free.